Platinum Diamond split shank Semi Mount. 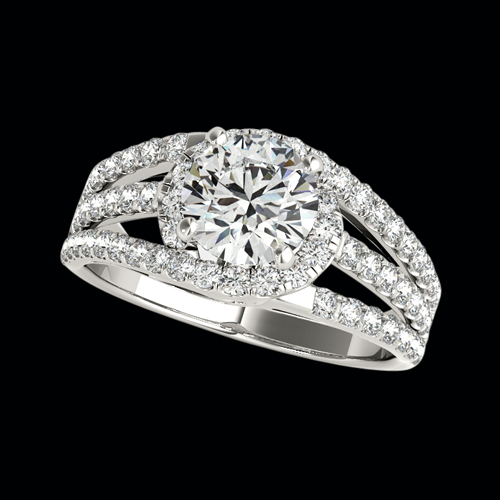 Beautiful engagment ring is set with 3/8ctw diamonds before the center 3/8ct diamond. Our price shown is for the SI 1 clarity G-H color diamonds. Additional qualities listed. This ring is custom made to order. Matching band also available. Email sales@platinumonly.com for additional pricing and information.